When you’ve got a long way to go and you know you’re going to be sat at the wheel for hours, you want your car to be as relaxing as it can possibly be. And this year’s winner of our Best Car for Long Distances award, the Hyundai Tucson, does just that. 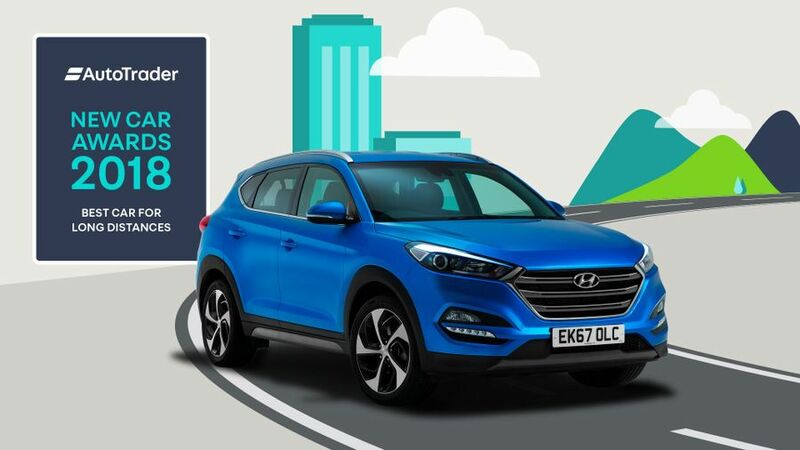 High-mileage owners were particularly impressed with the Tucson’s reliability and durability, giving the car top marks in both areas. It also came out top among regular motorway drivers for the cost of servicing and repairs, and it came second for comfort. However, while the Tucson is a fine high-mileage car, it didn’t make the list of the very best according to our experts. You can see what did in our Best Long Distance Cars feature. You can also see what our experts think of the Tucson in general in our expert review. So, will the Tucson take top honours again in 2019, or will another car be voted in ahead of it? Both the Nissan Qashqai and Mercedes A-Class came close as runners-up, so could they go one better next year? If you spend most of your time munching the miles on the motorway, and you’re looking for your next car, you can start configuring your brand new Tucson on Auto Trader right now. Interested in buying a Hyundai Tucson?